Ex-Formula 1 driver Mark Webber has said he has “concerns” about Daniel Ricciardo’s imminent move to Renault. The Red Bull driver provided one of the biggest storylines of ‘silly season’ by announcing that he would be joining the Enstone team because he felt like he needed a fresh challenge. 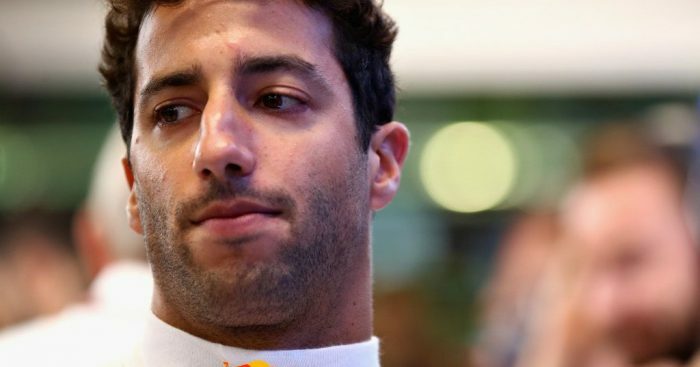 After being linked with Ferrari and Mercedes at the beginning of the 2018 campaign, Ricciardo has now essentially made a step back in the hope that he can take two steps forward again in the coming years. Not everyone, though, shares that hope. “He’s absolutely world class, we know that, he’s top notch, he is one of the best on Sundays, there’s no question about it,” Webber told Fairfax Media. “Let’s see. I hope it’s an inspired decision, we’ll all have to sit back and watch, but the move is under a little bit of heat, it has to work for him. While Webber can understand why Ricciardo felt like he had to make a move away for the 2019 season, but wishes his fellow compatriot was in a position to be challenging for race victories on a regular basis now. “That’s what you’ve got to do sometimes, you’ve got to be one step back, two steps forward,” he added. “He has to be realistic about what’s possible there and find out what he can realistically do with the time he’s got left.